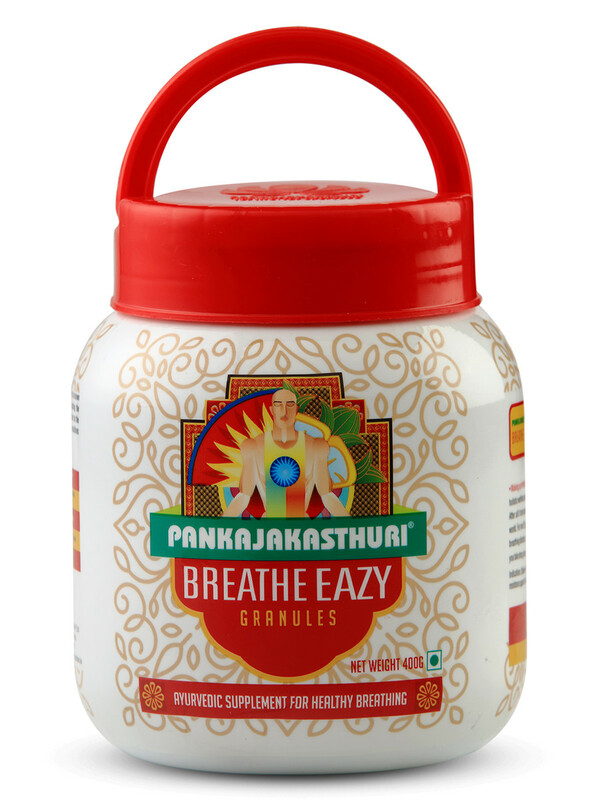 Breathe Eazy is a combination of 15 herbs and natural ingredients in specific composition made as per International standards. 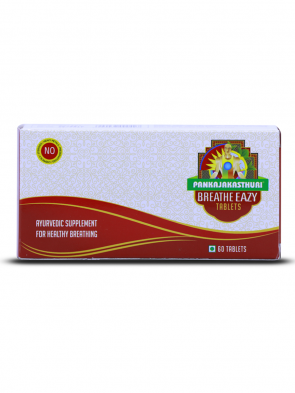 Breathe Eazy dilates the respiratory tract making the affected breathe easy. 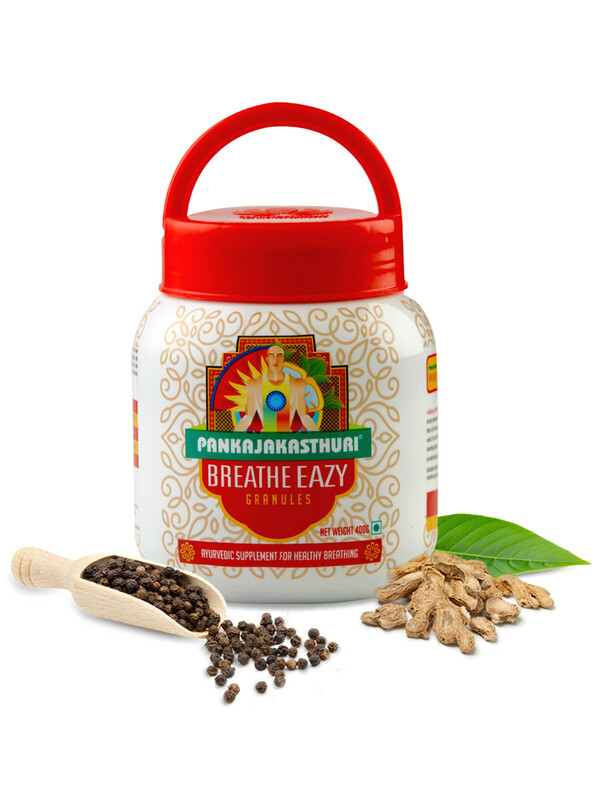 It prevents the occurrence of hyper sensitivity reaction and builds up strong immunity against allergy, thus effecting a near complete cure for Asthma, Bronchitis, Wheezing, Eosinophilia attacks, Sinusitis and Rhinitis. 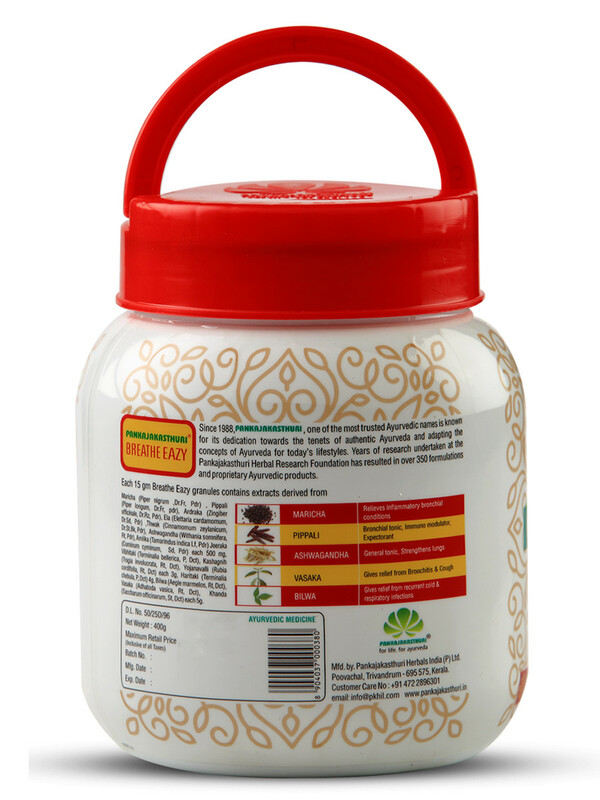 There will be marked decrease in IgE levels (Immunoglobulin_E) which is the indication of the allergic response. 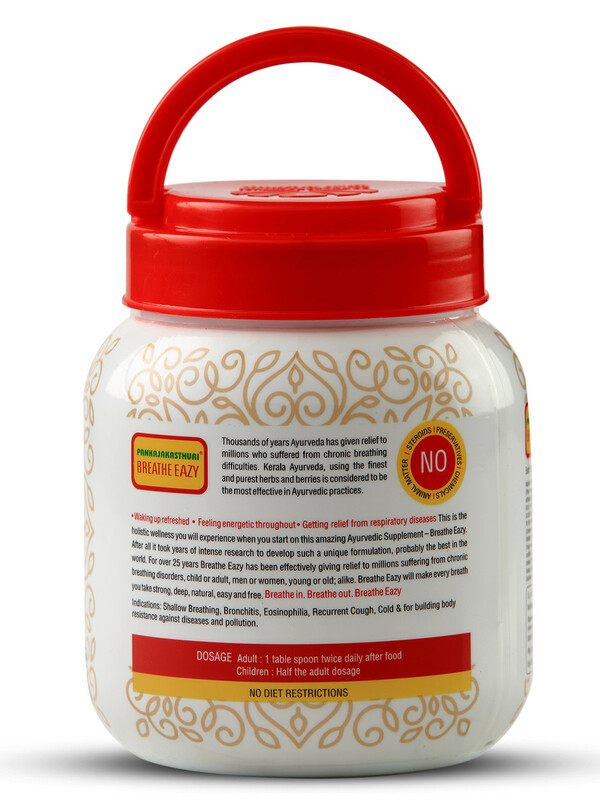 Adults: One tablespoon (15 g) twice daily after food (Breakfast and dinner). 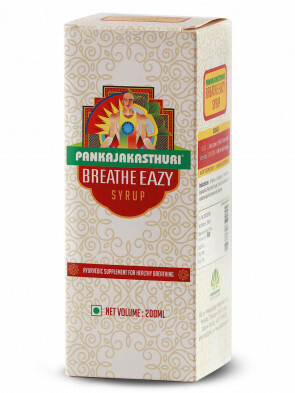 Children: Half the adult dosage. 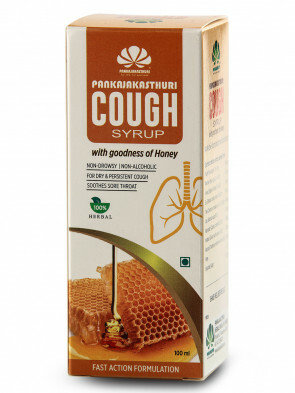 (Advised to have it mixed with warm water/milk or honey).